Let’s start up the project. 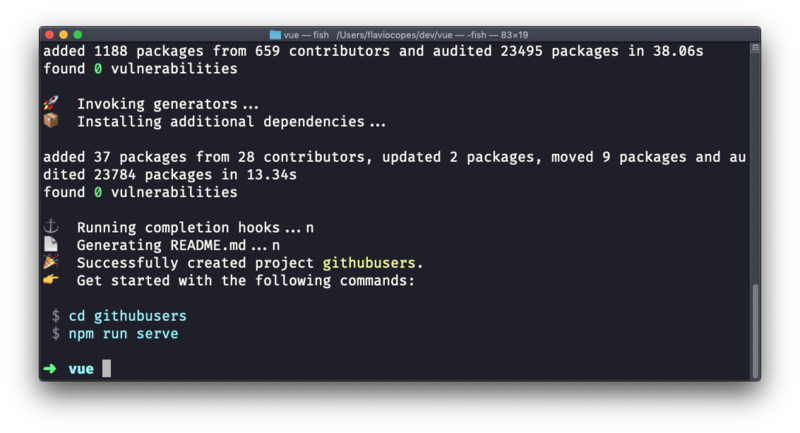 We’re going to use the Vue CLI. As usual, you are free to use it locally or use the web-based CodeSandbox environment. 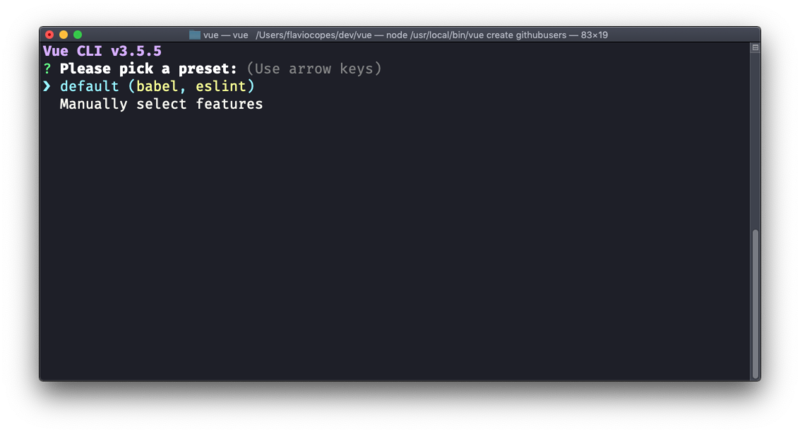 Even though we’ll use Vuex later on, we’ll start from the bare bones Vue CLI sample app. We create the app using the vue create command. 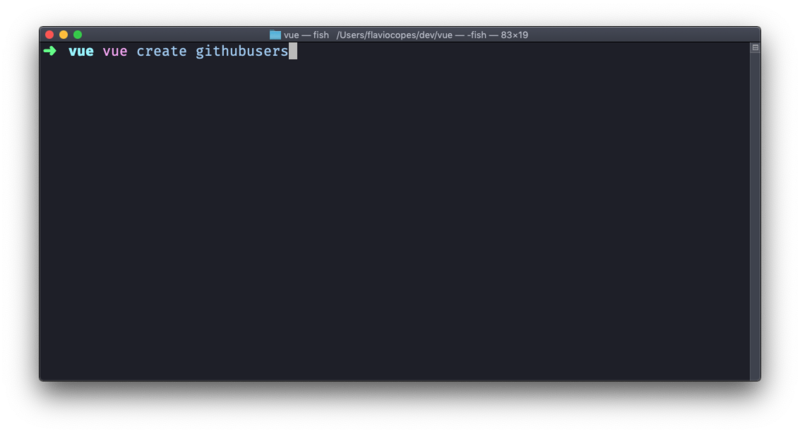 I gave it the name githubusers, but you can choose whatever you want, of course. We change to the app folder, and we run npm run serve. Now let’s do a little bit of analysys. We’ll need 3 components to start with. First, a Form component. This is the one that will hold the form, and ask GitHub for the data of a user. Then we’ll have a CardsList component. This will be reponsible for printing out the user cards, their removal and more. Finally, the smallest piece of our app is the Card component. It will hold the individual user card display.